Gillard Cutting Technology is a trading name of Peter Gillard & Co. Limited. Peter Gillard & Co. Limited is a limited liability company registered in England on 15th December 1971 under number 1034752. Registered office: Peter Gillard & Co. Limited, Alexandra Way, Ashchurch Business Centre, Tewkesbury, Gloucestershire, GL20 8NB, England. Registered for VAT under number GB 207 7061 81. © Copyright 2012 - 2019 Peter Gillard & Co. Limited. All rights reserved. Servo-Torq®, Vac-U-Torq®, Neuma-Torq®, Accra-Feed™, Accra-Pull™, Accra-Cat™, SpeedCut™, Metal-Cut™, Braid-Cut™ and Ultra-Accurate™ are trademarks or registered trademarks of Peter Gillard & Co. Limited. Econo-Cut® is the registered trademark of The WTC Group Ltd.
Elkonite® is a registered trademark of CMW, Inc.
Due to our policy of continuous design, material and manufacturing improvement we retain the right to amend specifications and withdraw products from sale without any prior notice. 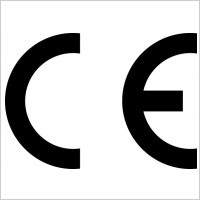 All machines manufactured by Peter Gillard & Co. Limited have a CE mark and are supplied with a CE Certificate of Conformity or Certificate of Incorporation in accordance with the Machinery Directive 2006/42/EC of the European Parliament and of the Council. They also comply with Directive 2004/108/EC (Electromagnetic Compatibility), Directive 2013/35/EU (Electromagnetic Fields), Directive 2014/35/EU (Low Voltage) and Directive 2014/53/EU (RED Radio Equipment) where applicable. Our Terms & Conditions of Sale are detailed below. A PDF copy can be downloaded by clicking here. Our Terms & Conditions of Purchase are detailed below. A PDF copy can be downloaded by clicking here. The terms and conditions set out below (Terms) are those upon which Peter Gillard & Co. Limited (also trading as Gillard Cutting Technology) (the Company) is willing to contract for the sale of goods (Goods) to its customers (Customers). No variation to the Terms or any other terms shall apply to any contract for the sale of Goods by the Company unless accepted in writing by the Company. Any tender, quotation or acceptance of an order given by the Company shall be subject to these Terms. All quotations and tenders may be accepted by the Customer up to 60 days after the date on which they are sent by the Company to the Customer. All such acceptances and other orders placed with the Company shall constitute offers and a binding contract will only come into existence when the Company provides written acceptance of any order or quotation. Where the Company and the Customer have agreed to a credit account and the value of the Goods in any one order is less than £5000, payment is due no later than the end of the month following the month of delivery of the Goods. Where the Company and the Customer have agreed to a credit account and the value of the relevant Goods in any one order is £5000 or more, payment of a non-refundable 40% deposit of the total price of the Goods is due on the date of acceptance of the order. 60% of the total price is due when the Company notifies the Customer that the Goods are ready for dispatch. Where the Company and the Customer have not agreed to a credit account payment in full is due on the date of the Company’s acceptance of any order. (vii) recover all costs from the Customer on an indemnity basis (including all direct and indirect costs, losses, overheads and expenses of recommencing or reinstating a delivery or performance of its obligations) caused by any such cancellation(s), suspension(s) or postponement(s). The Company may at any time in its discretion amend the price for all or any part of the Goods that are to be supplied under the contract to the current price for such Goods at the time of delivery. Prices are quoted on the basis of cost of labour, materials, transport, overheads, currency and taxation at the date of quotation. The Company may at its discretion add to quoted prices any increase in such costs or any added cost resulting from Government orders or regulations (whether new or existing) arising after the date of quotation to date of acceptance of the Goods. The Company reserves the right to make an additional charge in respect of variations requested by the Customer and agreed by the Company to the terms of the contract (including variations to delivery location) and/or the specifications of the Goods and (if applicable) where installation takes longer than eight hours and/or takes place during normal working hours. Dates quoted for dispatch are estimates only. The Company shall not be liable for loss or damage occasioned by delay nor shall the Customer have any right to impose penalties or to cancel the order for delay from any cause. The Customer shall notify the Company in writing of all delivery instructions at the time of order and in the event of delay in such instructions the Customer shall pay the costs and expenses including a charge for storage occasioned thereby and the Company shall be entitled to arrange transport and storage at the Customer’s expense and risk at suitable alternative premises to those of the Company. Minor defects that do not affect the use of the Goods shall not be grounds for the Customer to reject the Goods or withhold payment. The Company shall make the Goods available for testing and inspection of the Goods at the Company’s premises before shipment. The Customer shall supply all materials to be cut or handled for the purposes of such testing. Upon completion of assembly at our premises (should this be part of the contract) the Company shall notify the Customer in writing of the readiness of the Goods for inspection (the Readiness Date). The Customer will then nominate a date for the acceptance tests to take place which shall take place no later than 10 days after the Readiness Date. During such tests the Customer will accept the Goods or notify the Company in writing of faults which it reasonably believes mean the Goods do not comply with the agreed specification. Failure to provide written notification of work to be undertaken, within that period will be deemed to constitute acceptance by the Customer of the Goods. It is understood that if the Goods conform to the specification agreed at the time of placing the order by the Customer the Goods will be accepted by the Customer and the Customer will not seek to vary the specification. Any commercial use by the Customer or the Customer’s assignee or any other user of the Goods (other than by way of testing purposes) will be deemed to constitute an acceptance by the Customer of the Goods. Subject to the Exclusions section below, the Company shall have no liability for any claim in respect of any defect in the Goods which would be apparent on such inspection or in respect of any damage during transit from the place of manufacture, the liability of the Company for damage to the Goods during transit shall be limited to the amount recovered under any insurance claim made by the Company for such loss or damage (less any sums outstanding under the contract). The Customer must inspect the Goods in the presence of the carrier. If any Goods are damaged or lost, the consignment note must be endorsed accordingly and the Customer must notify the Company within 48 hours of delivery, such notification to be confirmed no later than five days after delivery. In the absence of such notification, the Customer shall be deemed to have accepted the Goods and to have waived any right to claim for loss of or damage to the Goods from the Company. Risk shall pass to the Customer on delivery to the Customer or to his agent or any carrier acting for the Customer (including any such agent or carrier instructed by the Company acting on behalf of the Customer). Title to the Goods shall remain vested in the Company and the Customer shall hold the Goods supplied as bailee only until the Customer has paid the Company all sums owing from the Customer in respect of Goods delivered to the Customer in fulfilment of any contracts between the Customer and the Company. In the event of any resale by the Customer of the Goods whilst they are still the property of the Company, the beneficial entitlement of the Company shall attach to any claim against the Customer’s purchases and to any proceeds of that sale so that such claim or proceeds of sale shall be held in trust for the Company and the Customer shall have a fiduciary duty to account to the Company for that claim and any proceeds of sale. Where proceeds of such a resale are received by the Customer he shall keep them in a separate account as agent for the Company until the proceeds are handed over to the Company. The Company shall account to the Customer for any excess of such monies over the amount due to the Company. The Customer grants an irrevocable licence for the Company or its agents (with or without vehicles) to enter onto the Customer’s premises (or other location at which the Goods have been installed) to take possession of the Company’s Goods at any time prior to payment of all sums owing to the Company by the Customer. No cancellation or variation of an order or variation to the Terms or the specification of the Goods (including variations to delivery location) will be accepted by the Company other than by express agreement in writing and the Company reserves the right to charge for materials obtained, work done, costs, losses or damages incurred (whether direct or indirect and which shall include, inter alia, loss of profit). In no case will cancellation be accepted by the Company within 30 days prior to the agreed date of delivery. (vi) all service connections for fuel, electricity, air, water and drains both to main plant and auxiliary equipment. In the event that the Customer fails to provide the facilities or services specified above, any extra costs incurred by the Company shall be paid for by the Customer and the Customer shall compensate the Company for any delay in payment consequent thereon. The Customer shall indemnify the Company in respect of all claims made or proceedings taken against the Company by any third party in respect of personal injury or damage to property (including damage as a result of fire or explosion) caused by or arising out of the Goods or the installation thereof in any manner whatsoever except to the extent that it results from the negligence of the Company, its officers, servants or employees. The Company shall be entitled to appoint subcontractors to carry out all or any of its obligations. As part of its commitment to quality, the Company reserves the right to change and improve the design of some or all of the component parts included in its quotation and thereafter supply accordingly. (ii) use them in any way except for the purpose of installing or operating the Goods for which they are issued. Illustrations, weights, measures, temperatures, capacities and performance schedules contained in the Company’s printed brochures and sales literature form no part of the contract. The Customer shall be responsible for the accuracy of all information and drawing supplied by it, and the Company shall be under no responsibility to check the accuracy thereof. Copyright in respect of all drawings and other documents prepared on or behalf of the Company shall vest in and remain the property of the Company or its sub-contractors or agents (as the case may be). The Customer shall indemnify the Company against any claim (including trademark, patent, or copyright claims) made against the Company in respect of Goods designed and supplied by the Company to the specification of the Customer. The Company shall be excused from liability or completion of its obligations if performance of the contract is prevented, hindered or delayed by any cause whatsoever beyond the Company’s control and in particular, but without prejudice, to the generality of the foregoing by act of God, war, government control, restrictions or prohibitions or any other government act or omission whether local or national, fire, floods, subsidence, sabotage, strike or lockout and shall not be liable for any loss or damage resulting from any such circumstances. No responsibility is accepted by the Company for failure to comply with any statutory or other regulation or local bye-law affecting the Customer’s premises in use or the operation or construction of Goods and all consents and approvals required shall be obtained by the Customer. All fees or charges made by local authorities in connection with regulations or passing of plans will be payable by the Customer and the Customer shall be responsible for seeing that the Goods comply with all health and safety at work regulations or their equivalent in the jurisdiction of delivery) and all other regulations as installed. (iv) if there occurs in any country any event which has an effect equivalent or similar to any of those referred to in (ii) or (iii) above. The Company agrees to replace or repair at its option Goods supplied by it and proved to its satisfaction to be faulty (fair wear and tear or damage due to misuse or improper operation excepted) provided that such fault is notified in writing to the Company within twelve months from the original date of dispatch of the Goods. It is a condition that any claims made Customers under this guarantee must be made in writing, clearly stating the Company’s order number relating to the affected Goods, the date of order, invoice and delivery address, and the name and contact details of the person or persons to contact in relation to the claim. In cases where the Company undertakes to supply materials or components only the manufacturer’s guarantee will apply instead of the guarantee above. Unless expressly provided in these Terms, all warranties, conditions or other terms implied by statute or common law are excluded to the fullest extent permitted by law. Subject to the Exclusions section below, the guarantee in this section sets out the Customer’s sole and exclusive remedy for the supply of any faulty Goods. Where the Company agrees to manufacture Goods to a Customer’s specific design or to adapt or modify Goods to a Customer’s specific requirements, any intellectual property rights in such designs shall vest in the Company. The Company will not be restricted from making available or selling any such specially manufactured or modified designs to any third parties. Save as expressly herein provided the Company shall have no liability to the Customer for any loss of profit, loss of business, loss of anticipated savings, loss of or damage to data, third party claims or other loss or damage direct or indirect or consequential, whether in contract, tort or otherwise of whatsoever nature, even if advised of the possibility of such losses, or for any claim by any third party. The Customer is advised to insure against all such potential loss, damage, expense or liability. The Customer shall indemnify the Company against all losses, liabilities, claims, costs and expenses that may result from loss of or damage to any property or injury to or the death of any person (including any employee of the Company) that may arise out of any act or omission of the Customer, his employees, agents or sub-contractors in connection with the contract or the Customer’s premises. Any service, guidance or advice which may be offered by the Company to users of its products is rendered in all good faith, but is advisory only and, subject to the Exclusions section below, the Company shall not be liable for any loss or damage in respect of such service, guidance or advice save in respect of fraudulent misrepresentation made by the Company or its employees. No returns or items for repair will be accepted by the Company other than by express agreement in writing or under the guarantee set out above. Unauthorised returns received by the Company will be returned to the sender carriage forward. Notwithstanding any other clause, the Company does not exclude or limit liability for: (i) death or personal injury caused by its negligence; (ii) fraud or fraudulent misrepresentation; or (iii) any other liability which cannot be excluded or limited by law. Except with the Company’s prior approval in writing, the Goods may not be exhibited or advertised in any show display or exhibition other than on the Customer’s own premises and may not be entered for any event. In these Terms “Incoterms” means the international rules for the interpretation of trade terms of the International Chamber of Commerce as in force at the date when the Contract is made. Unless the context otherwise requires any term or expression which is defined in or given a particular meaning by the provisions of Incoterms shall have the same meaning in these Terms but if there is any conflict the latter shall prevail. Where the Goods are supplied for export from the United Kingdom the provisions of this clause shall (subject to any special terms agreed in writing between the Company and the Customer) apply notwithstanding any other provision of these Terms. The Customer shall be responsible for complying with any legislation or regulations governing the import of the Goods to the country of destination and for the payment of any duties or taxes thereon. Unless otherwise agreed in writing between the Company and the Customer, the Goods shall be made available for collection EXW (packing and insurance excluded) at the Company’s premises or designated warehouse and the Company shall be under no obligation to give notice under section 32 (3) of the Sales of Goods Act 1979. If any provision of these Terms is held by any competent authority to be invalid or unenforceable in whole or part the validity of the other provisions of these Terms and the remainder of the provision in question shall not be affected thereby. These Terms and all contracts are governed by English law. The Company and the Customer hereby submit to the exclusive jurisdiction of the courts of England and Wales. The Company reserves the right to refer for any dispute under the contract to arbitration in London in accordance with the Arbitration Act 1996 and the arbitrator shall be selected by the President of CIArb within 28 days of a request for him to so nominate. The Customer shall not assign the benefit of any contract or any warranty or other provision to any person without the prior written consent of the Company. These are the terms and conditions on which Peter Gillard & Co. Limited (also trading as Gillard Cutting Technology) does business. "Customer" means Peter Gillard & Co Limited (also trading as Gillard Cutting Technology), of Alexandra Way, Ashchurch Business Centre, Ashchurch, Tewkesbury, GL20 8NB (registered in England and Wales with company number 01034752. "Supplier" means the person or firm from whom the Customer purchases the Goods. 4.1.3 if the Supplier requires the Customer to return any packaging material to the Supplier, that fact is clearly stated on the delivery note. Any such packaging material shall be returned to the Supplier at the cost of the Supplier. 4.2.3 during the Customer’s normal business hours, or as instructed by the Customer. 4.4 The Supplier shall not deliver the Goods in instalments without the Customer’s prior written consent. Where it is agreed that the Goods are to be delivered by instalments, they may be invoiced and paid for separately. However, failure by the Supplier to deliver any one instalment on time or at all, or any defect in an instalment shall entitle the Customer to the remedies set out in clause 5. 5.1.6 to claim damages for any other costs, loss or expenses incurred by the Customer which are in any way attributable to the Supplier’s failure to carry out its obligations under the Contract. 7.2.2 includes the costs of packaging, insurance and carriage of the Goods. 7.4 The Supplier may invoice the Customer for price of the Goods plus VAT at the prevailing rate (if applicable) on or at any time after the completion of delivery. The Supplier shall ensure that the invoice includes the date of the Order, the invoice number, the Customer’s order number, the Supplier’s VAT registration number and any supporting documents that the Customer may reasonably require. 7.5 The Customer shall pay correctly rendered invoices on or before the last working day of the month following the month of delivery. Payment shall be made to the bank account nominated in writing by the Supplier. The Supplier acknowledges that all materials, equipment and tools, drawings, Specifications, and data supplied by the Customer to the Supplier ("Customer Materials") and all rights in the Customer material are and shall remain the exclusive property of the Customer. The Supplier shall keep the Customer Materials, if any, in safe custody at its own risk, maintain them in good condition until returned to the Customer and not dispose or use the same other than in accordance with the Customer’s written instructions or authorisation. 9.1.3 any claim made against the Customer by a third party arising out of or in connection with the supply of the Goods, to the extent that such claim arises out of the breach, negligent performance or failure or delay in performance of the Contract by the Supplier, its employees, agents or subcontractors. During the term of the Contract the Supplier shall maintain in force, with a reputable insurance company, professional indemnity insurance, product liability insurance and public liability insurance to cover the liabilities that may arise under or in connection with the Contract, and shall, on the Customer’s request, produce both the insurance certificate giving details of cover and the receipt for the current year’s premium in respect of each insurance. 11.1 A party ("receiving party") shall keep in strict confidence all technical or commercial know-how, specifications, inventions, processes or initiatives which are of a confidential nature and have been disclosed to the receiving party by the other party ("disclosing party"), its employees, agents or subcontractors and any other confidential information concerning the disclosing party’s business, its products and services which the receiving party may obtain. The receiving party shall only disclose such confidential information to those of its employees, agents and subcontractors who need to know it for the purpose of discharging the receiving party’s obligations under the Contract, and shall ensure that such employees, agents and subcontractors comply with the obligations set out in this clause as though they were a party to the Contract. The receiving party may also disclose such of the disclosing party’s confidential information as is required to be disclosed by law, any governmental or regulatory authority or by a court of competent jurisdiction. 12.1.2 comply with the Mandatory Policies. 13.1 The Customer may terminate the Contract in whole or in part at any time before delivery with immediate effect by giving the Supplier written notice, whereupon the Supplier shall discontinue all work on the Contract. The Customer shall pay the Supplier fair and reasonable compensation for any work in progress on the Goods at the time of termination, but such compensation shall not include loss of anticipated profits or any consequential loss. 13.2.5 the Supplier’s financial position deteriorates to such an extent that in the Customer’s opinion the Supplier’s capability to adequately fulfil its obligations under the Contract has been placed in jeopardy. Neither party shall be in breach of the Contract nor liable for delay in performing, or failure to perform, any of its obligations under it if such delay or failure results from an event, circumstance or cause beyond its reasonable control. If the period of delay or non-performance continues for 4 weeks, the party not affected may terminate the Contract by giving 7 days written notice to the affected party. 15.1.1 The Customer may at any time assign, transfer, mortgage, charge, subcontract or deal in any other manner with any or all of its rights or obligations under the Contract. 15.1.2 The Supplier may not assign, transfer, mortgage, charge, subcontract, declare a trust over or deal in any other manner with any or all of its rights or obligations under the Contract without the prior written consent of the Customer. 15.3 Entire agreement. The Contract constitutes the entire agreement between the parties and supersedes and extinguishes all previous agreements, promises, assurances, warranties, representations and understandings between them, whether written or oral, relating to its subject matter. 15.5 Waiver. Except as set out in clause 2.4, no failure or delay by a party to exercise any right or remedy provided under the Contract or by law shall constitute a waiver of that or any other right or remedy, nor shall it prevent or restrict the further exercise of that or any other right or remedy. No single or partial exercise of such right or remedy shall prevent or restrict the further exercise of that or any other right or remedy. 15.7.1 Any notice or other communication given to a party under or in connection with the Contract shall be in writing, addressed to that party at its registered office (if it is a company) or its principal place of business (in any other case) or such other address as that party may have specified to the other party in writing in accordance with this clause, and shall be delivered personally, or sent by pre-paid first class post or other next working day delivery service, commercial courier or email. 15.7.2 A notice or other communication shall be deemed to have been received: if delivered personally, when left at the address referred to in clause 15.7.1; if sent by pre-paid first class post or other next working day delivery service, at 9.00 am on the second Business Day after posting; if delivered by commercial courier, on the date and at the time that the courier’s delivery receipt is signed; or, if sent by email, one Business Day after transmission. 15.7.3 This clause does not apply to the service of any proceedings or other documents in any legal action, or other method of dispute resolution. 15.8 Governing law. The Contract, and any dispute or claim (including non-contractual disputes or claims) arising out of or in connection with it or its subject matter or formation, shall be governed by and construed in accordance with the law of England and Wales. 15.9 Jurisdiction. Each party irrevocably agrees that the courts of England and Wales shall have exclusive jurisdiction to settle any dispute or claim (including non-contractual disputes or claims) arising out of or in connection with the Contract or its subject matter or formation.